Mom's Gone Bronson! 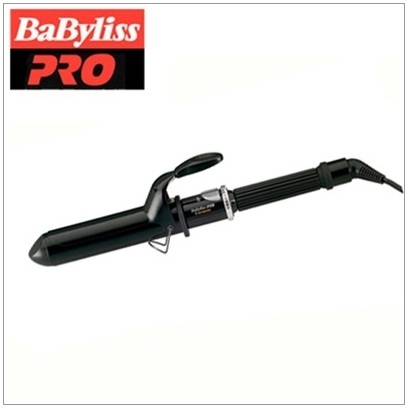 : Flat Iron Experts / Babyliss Pro Ceramic Curling Iron - Review! 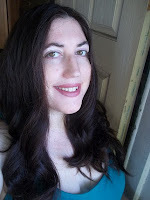 Flat Iron Experts / Babyliss Pro Ceramic Curling Iron - Review! A few months back I brought you a look at a fabulous Babyliss Nano Titanium & Ryton Flat Iron that could be found over at http://www.flatironexperts.com/ and for the past couple of weeks I have had the delight to try out something new in the shape of a Babyliss Pro Ceramic Curling Iron, also from Flat Iron Experts! 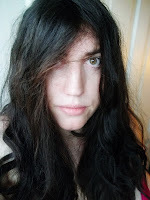 I have naturally wavy hair, but I usually blow dry it and then straighten it and put little thought into making it curly and pretty as apposed to wavy and frizzy, which is how it would be if I left it to dry naturally! I jumped at he chance to try the curling iron, which is a lot chunkier than the one I had already and was extremely excited to see the results and to see how the curls or waves would hold! As a great gesture, Flat Iron Experts sent along some Macadamia Healing Oil Treatment for my hair along with the iron and I have to say it makes me SO happy! It smells so good and soaks into my hair without leaving behind a greasy lining and so we're well onto a winner from the start with the product alone! However, with my hair being so thick, the oil is more of a finishing product than a styler or fixer for me and so I helped along my hair with a little basic hold spray from my local drug store. For a nice hold on my hair, I find it easier to wash it the DAY BEFORE I intend to style it and so I prepared and washed it in advance. I sprayed through a little fixer and curled as I went along. I loved the fullness of these waves produced by this iron, what with it being a chunky one, and love that it has up to 30 different heat settings and heats up ridiculously fast, up to 390 degrees F. right off the bat! There is no double rolling or mistakes to be had with an iron that can maintain the heat and works well with hair even as thick as mine! Here is how my hair looks usually, when I wake up in the morning and before I even attempt to style it (left). Followed by how my hair looks following use of the curling iron (right). The waves are more defined and less frizzy and finished with the Macadamia oil to give it a nice, sleek, shine! Once again both Babyliss and Flat Iron Experts have done it again and get a big. fat, 10 out of 10 for this iron and I couldn't be happier at all!! If you are interested in trying one of these out for yourselves then head on over HERE and pick one up today! They are available in various different widths, with the one being used for this review being the 1-1/2 inch iron, which is specifically found HERE for just $69.95 (that's a saving of over $40!). Disclaimer: I was provided with a curling iron and oil for the sake of this review. I was not otherwise compensated and my views have not been tainted by the provision of products. All opinions are 100% honest and my own. Your thoughts may differ to mine, thank you! Goegeous! I def. need a new curlng iron- I don't use mine often but maybe I'd curl my hair more with one like this!! Your hair looks noticeably smoother! I should try one of these! 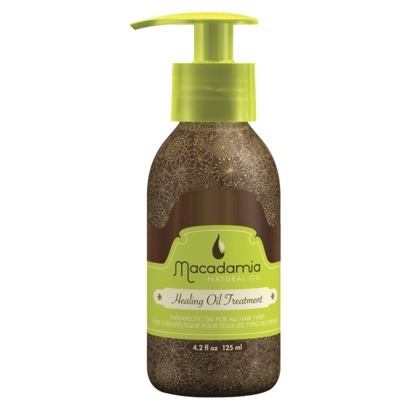 I love the Macadamia oil and your hair looks great! Wow! Looks so sleek and shiny and shiny and healthy...Jealous!